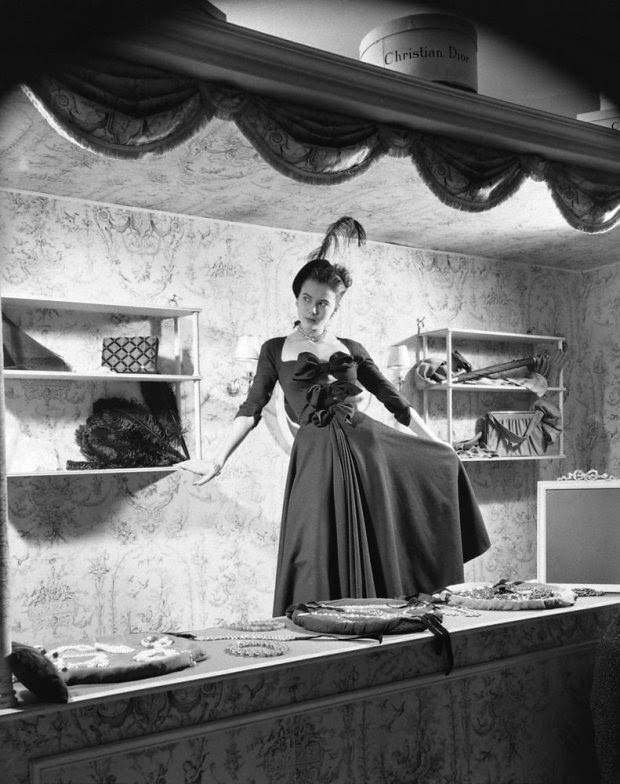 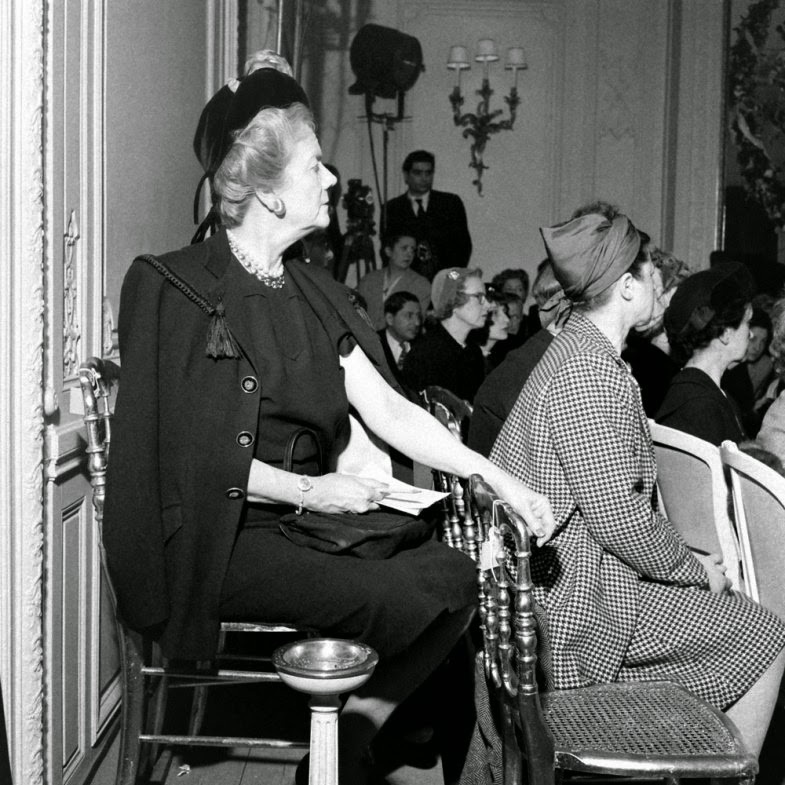 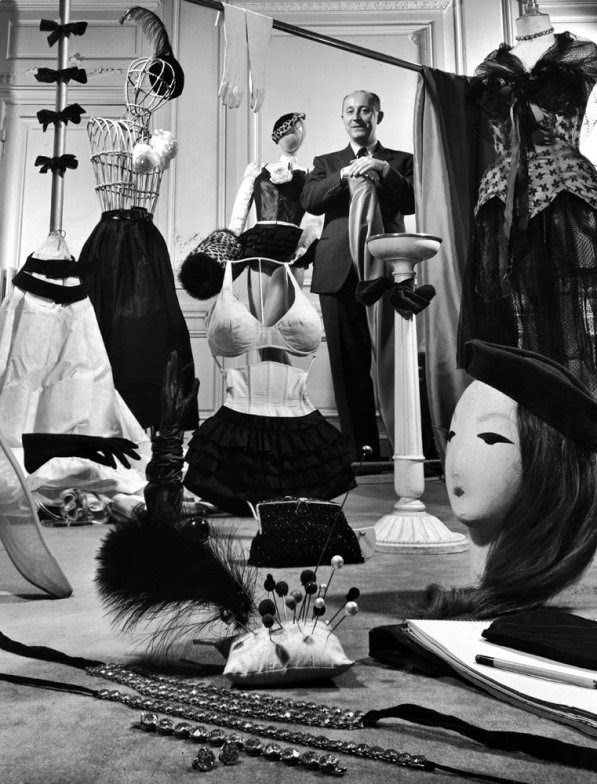 I think most of us are familiar with the explosion in fashion that was labeled the New Look, and how it came to be the birth of one of the worlds largest designer brands - Christian Dior. 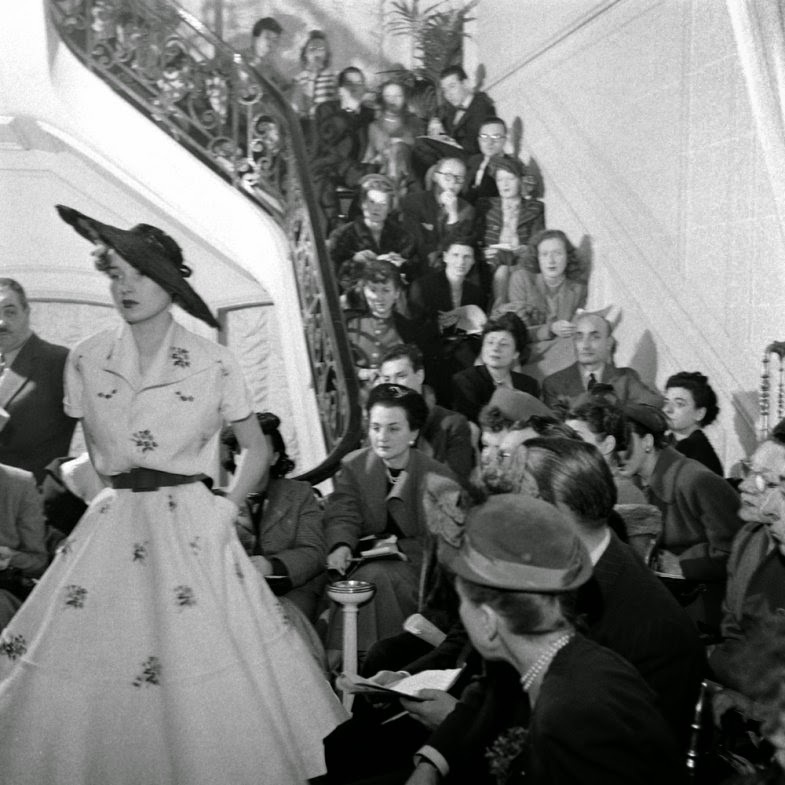 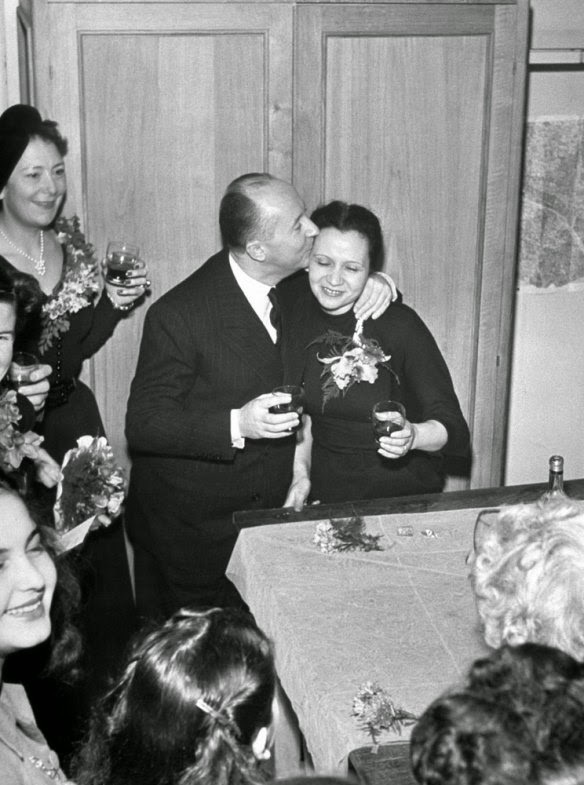 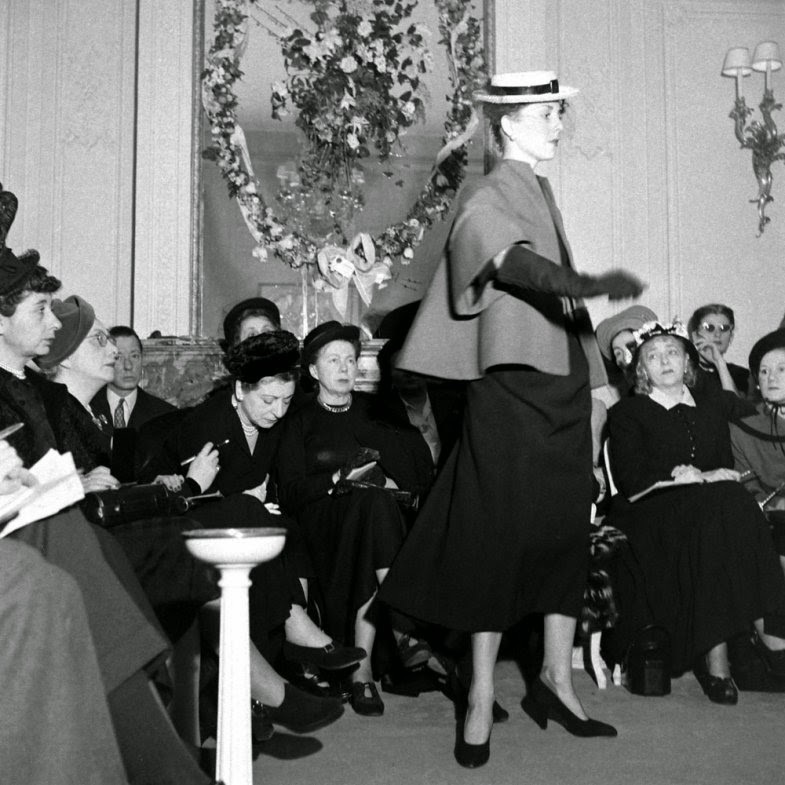 LIFE Magazine was there to document the beginning of this revolution in fashion, and in their archives I found some lovely photos from 1948 of the man who writer Jeanne Perkins called "a timid, middle-aged, insignificant-looking little Frenchman named Christian Dior", and his work. 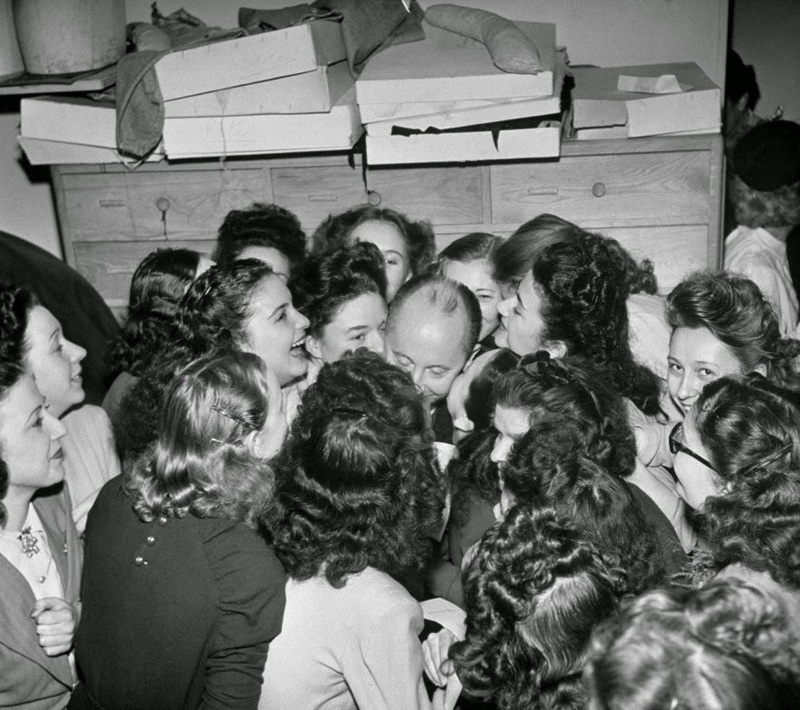 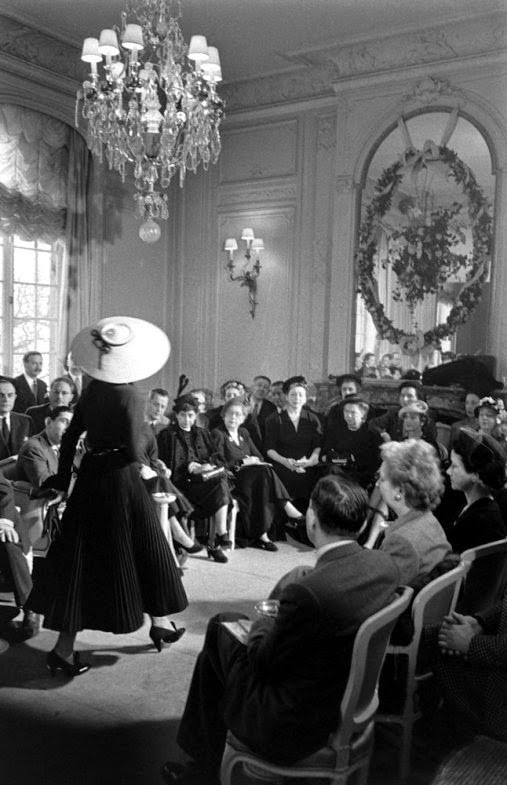 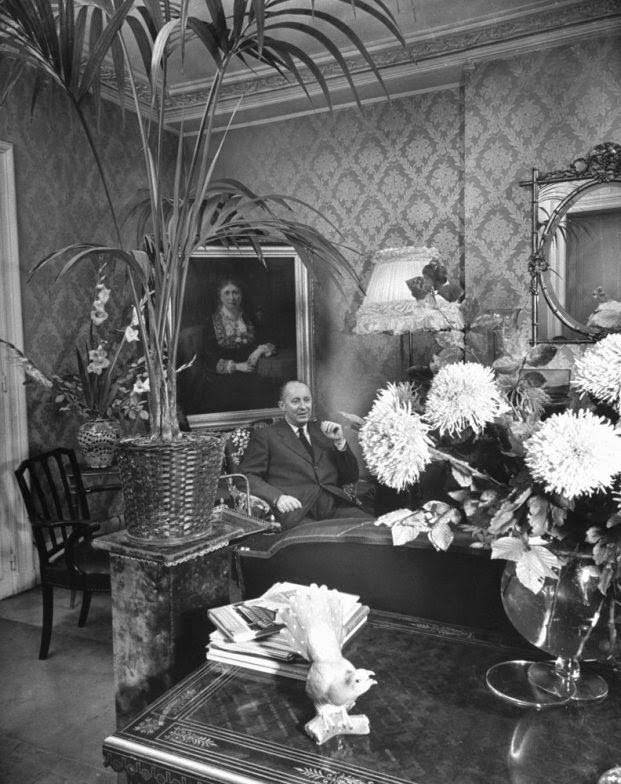 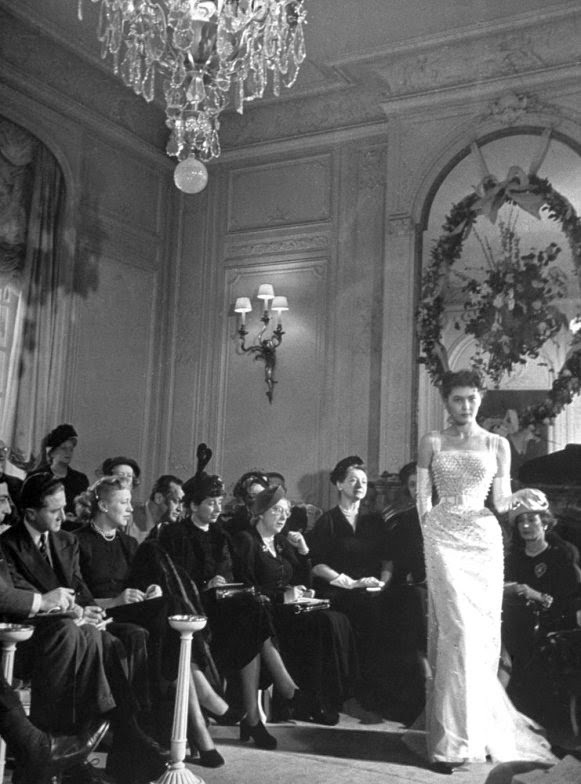 Dior in his fashion salon. 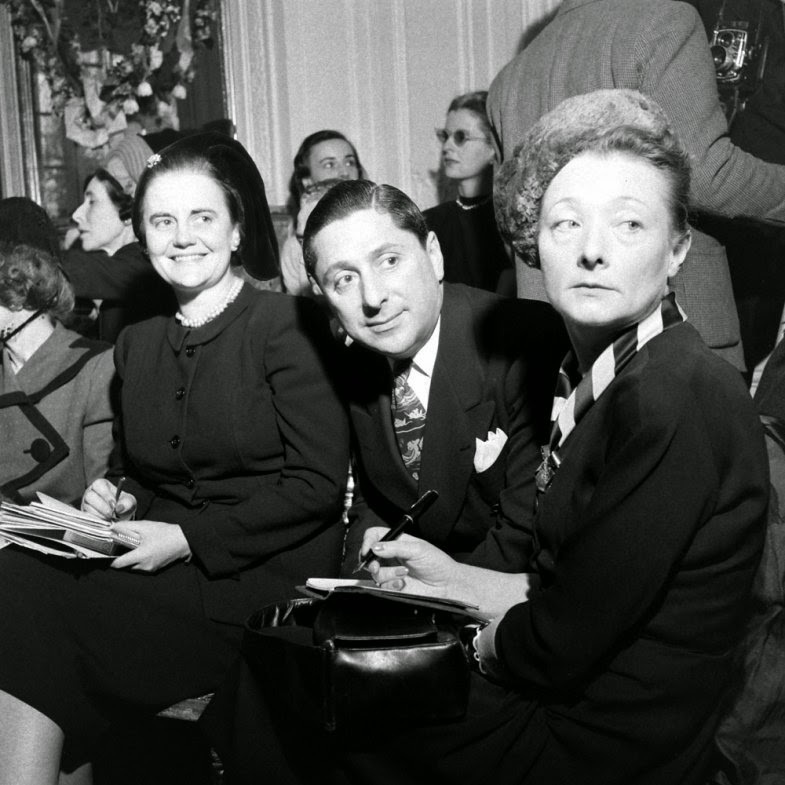 Paris seamstresses gathered around their boss.